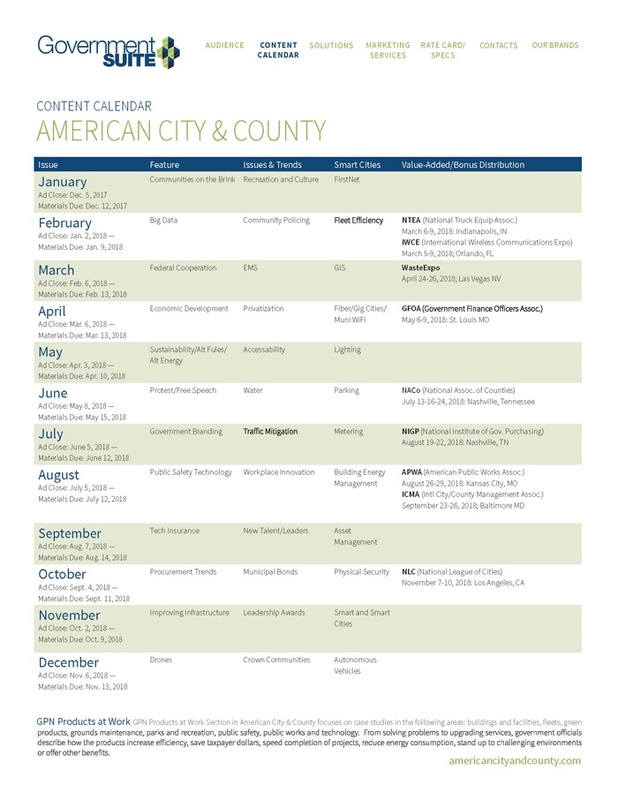 American City & County serves a powerful audience of city, county, and state officials who develop and implement government policy, programs, and projects. 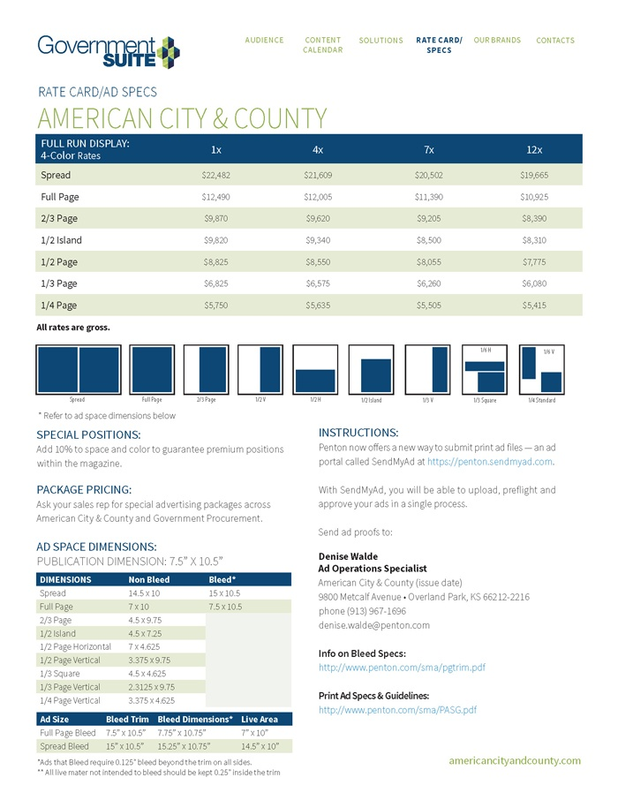 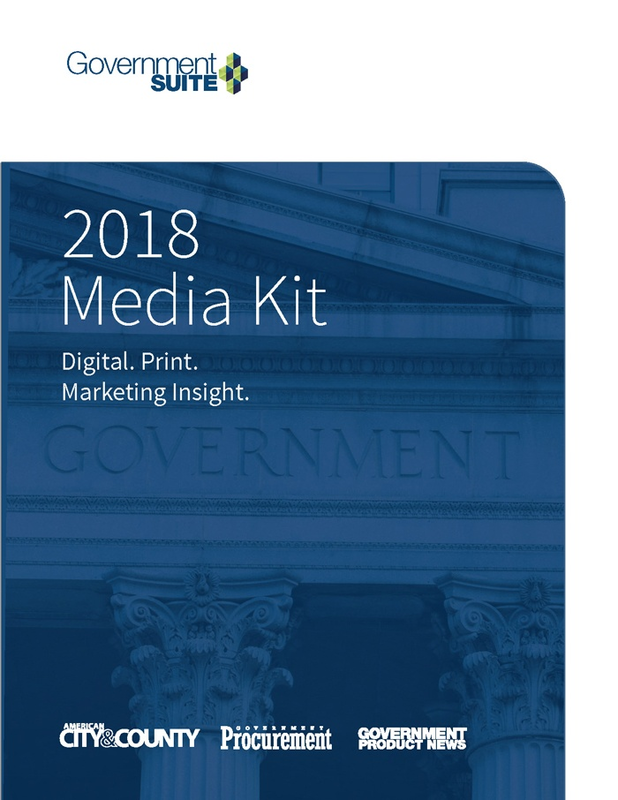 American City & County’s family of media products delivers editorial insights, government trends, project profiles, best practices, exclusive analysis, and a broad scope of local and state government news. 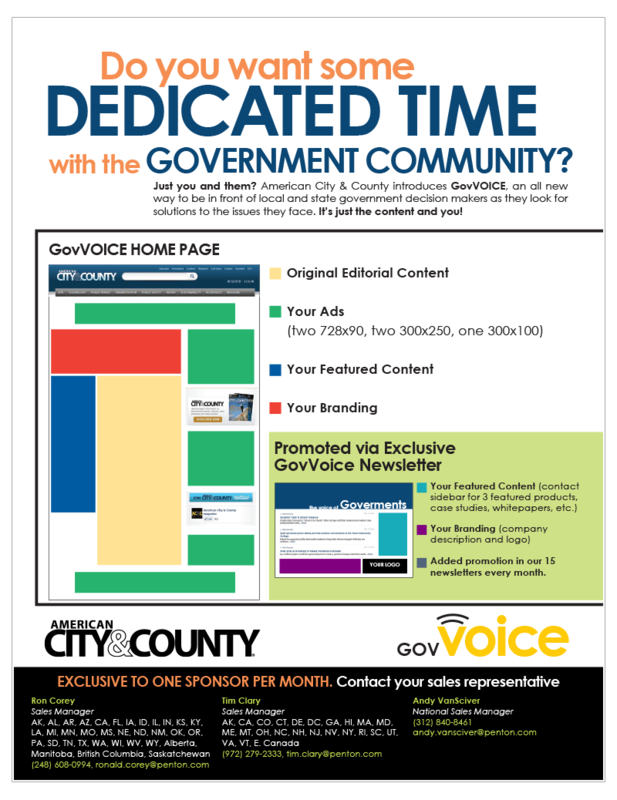 And State Officials who develop and implement government policy, programs and projects. 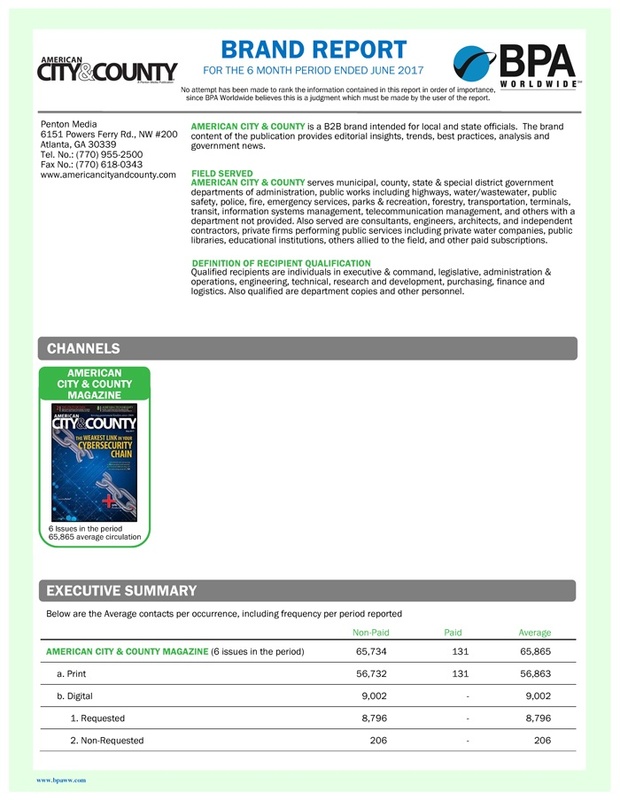 Independent, verified audit report of audience demographics.